Companies are always looking for new Corporate Gift Ideas for their promotional campaigns as well as promotional gifts for their customers. We have previously commented on Citibank’s Earphone Giveaways and Tiger Plushes in Hong Kong. 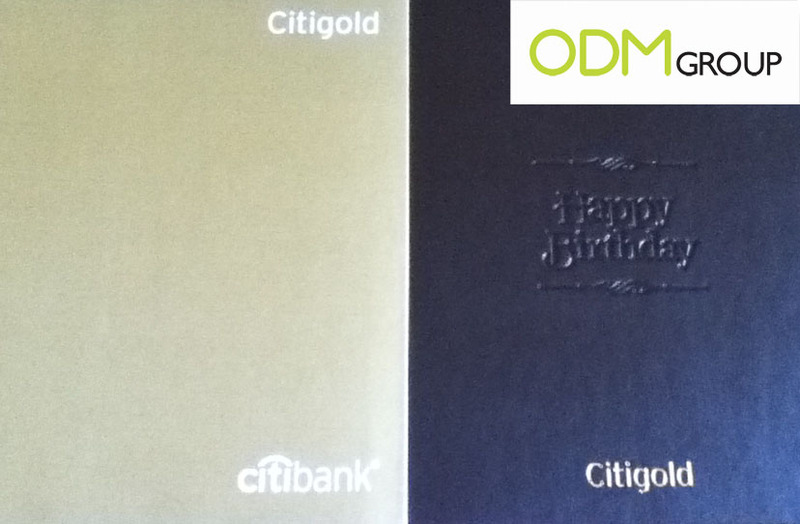 Here in Singapore, Citibank reward their customers for their custom with a promotional product for their birthday! This promo gift comes with a printed plastic cover and beneath it lies a “PU leather” photo frame. What we love about this giveaway is the form of branding. Embossing certainly helps to create distinct visual effects and marks, enabling high brand recall and increases the perceived value of this item.